Four Insurance Commission employees will undertake the Wheelchair Challenge this week (3-7 December 2018) to celebrate International Day of People with Disability (3 December 2018). Each employee will spend a day in a wheelchair to gain insight to access and inclusion challenges. This is the third year the Insurance Commission has participated in the challenge run by Rebound WA. Reuel De Melo, one of our Graduates rotating through different areas of the Motor Injury Insurance and RiskCover Divisions, is one of the Insurance Commission staff undertaking the challenge. Ms De Melo currently manages claims for people who have been injured in crashes on WA roads. “Road crashes can be traumatic life changing events for so many people and their families”. “Many of our clients use wheelchairs for injuries sustained in a crash”. 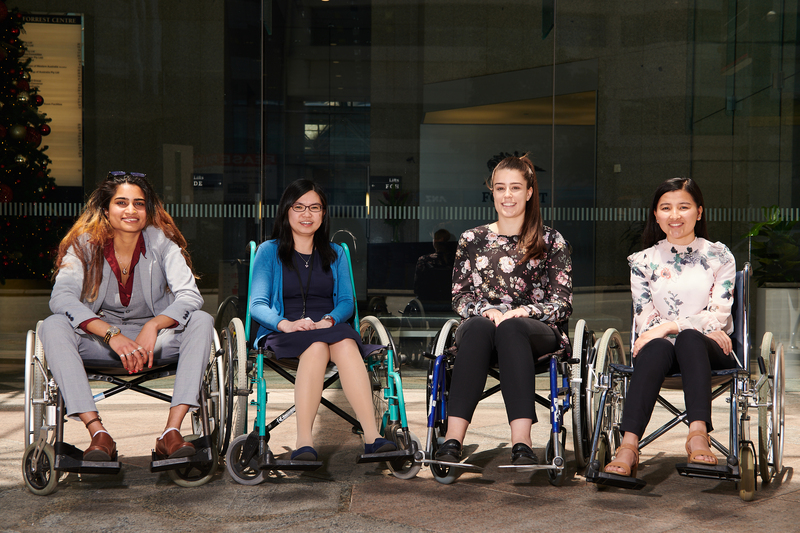 “I am hoping the wheelchair challenge will provide me with a greater understanding of the access and inclusion challenges that people using a wheelchair encounter every day. This will help to ensure we eliminate access issues to our services and facilities irrespective of their physical mobility”. “Having worked in the Disability Sector previously, I am proud of the Insurance Commission’s efforts to develop a more inclusive and progressive culture which has the customer at the centre”. Universal accessible meeting room installed. Public toilets upgraded to comply with access requirements. “Our Disability Access and Inclusion Plan 2018-23 is currently out for consultation. We encourage everyone to provide feedback to help us further enhance our clients' and customers' access to our services and facilities”.